This is the third tranche of the Financial Year 2017 – 2018. The Gold Bonds scheme was launched in November 2015. Applications for the latest ‘Sovereign Gold Bonds Scheme’ will be accepted from 9th Oct, 2017 through banks, Stock Holding Corporation of India Limited (SHCIL), designated post office branches and stock exchanges (BSE & NSE). Latest Issue Subscription dates : 9th Oct, 2017 to 27th Dec, 2017. Duration of Bonds : The tenor (tenure) of the Bond will be for a period of 8 years with an exit option from 5th year onwards. 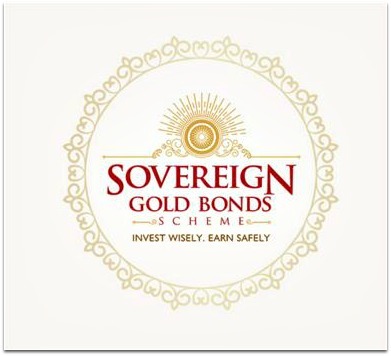 Gold bonds shall be repayable on the expiration of eight years from the date of the issue and premature redemption is permitted after 5th, 6th and 7th years from the date of issue of SGB. Maximum allowed investment : The maximum amount subscribed by an entity or an individual investor will not be more than 4 kg per financial year (April-March). A self-declaration to this effect will be obtained. In case of joint holding, the investment limit of 4 kg will be applied to the first applicant only. The annual ceiling will include bonds subscribed under different tranches during initial issuance by Government and those purchase from the Secondary Market. 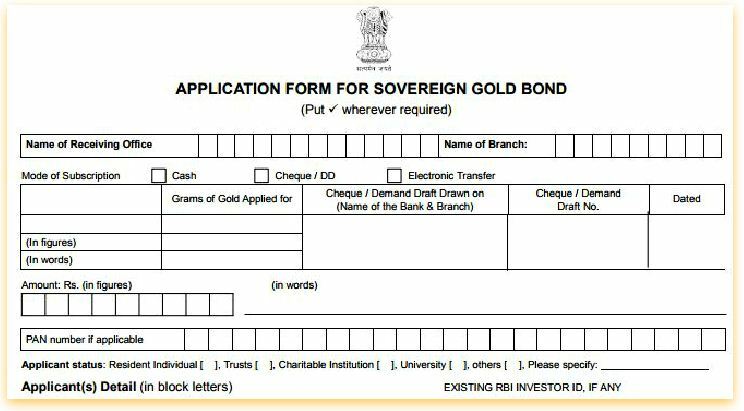 Click on the below image to download Gold Bonds Application form 2017-18 Series -III (Oct – Dec 2017). If there are uncertainties across the globe and if the geo-political risks are high (for example : conflict between North Korea and the USA), generally Gold prices tend to increase. Investors tend to take refuge in assets like Gold. Dear Manoj..If you have subscribed through any banks/Post office branch (offline), you can request them to issue the physical bond certificates. The bond can be gifted/transferable to a relative/friend/anybody…But do they need to have a demat account? And, what’s the procedure for that? You may contact your banker/service provider where you have bought these bonds, they can guide you in this regard. As per the RBI website, one can submit Form F for transfer of bonds. I have a query. Once these bonds are matured, how will I get back my accumulated amount. Whether it will automatically gets credited to my amount (similar to how FD matures) or I need to carry the bonds to banks and request them to credit it. And one more query. Is it mandatory to save the paper bonds issued by banks? I will have the payment receipt right for my safety. Dear Jagan .. The investor has to submit the bond certificate at the bank, and the amount gets credited to the bank account that has been given/updated in the application.